The chairman of INEC, Prof Mahmood Yakubu, stated this during an election summit for youths, where popular musicians were given awards for helping to mobilise youths to register for the elections. 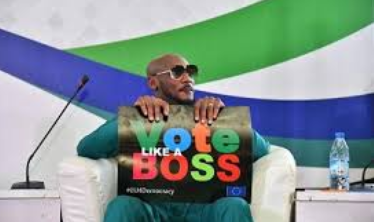 Among those given awards were ace musician Innocent Idibia (Tuface) and Ambassador Ketil Karlson, Head of European Union to Nigeria and ECOWAS. While commending Tuface and others for mobilising youths to participate in the voter registration, the INEC boss urged them to continue to tell them to collect their Permanent Voter Cards.